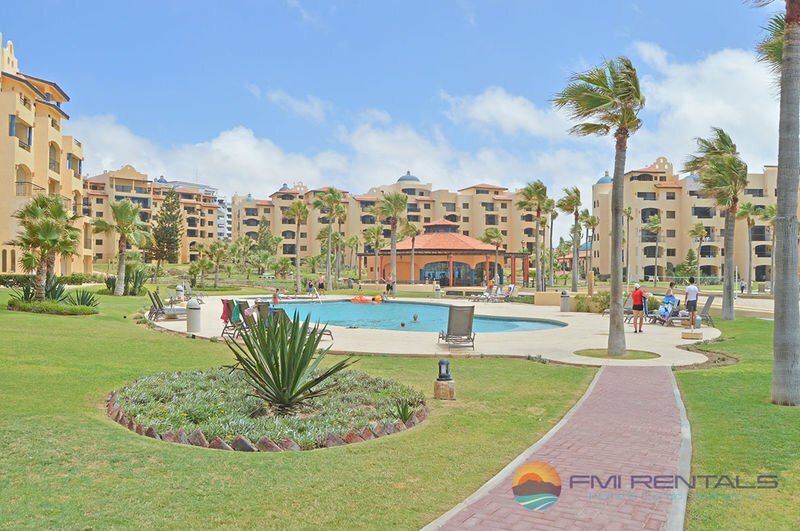 A stay in one of our Puerto Penasco rentals quite possibly could change your life, or at the very least, it could change the way you decorate your own home! 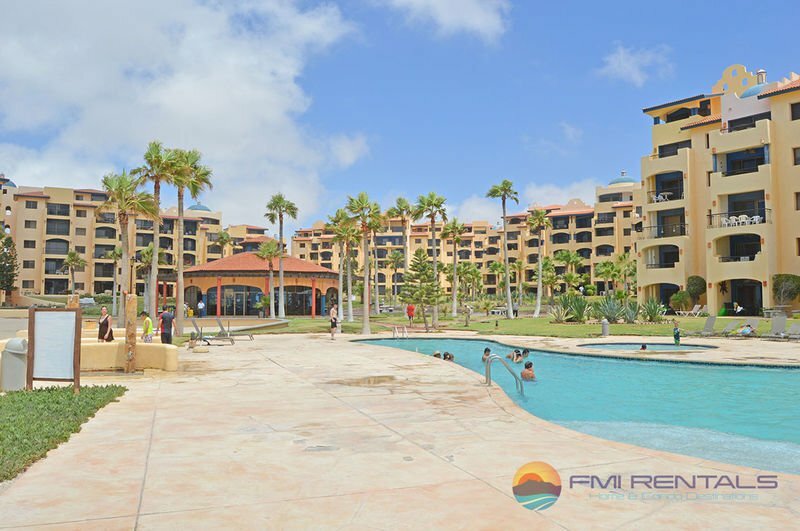 Either way, the Princesa E is a beautifully designed 2 bedroom, 2 bathroom condominium with breathtaking views overlooking the Sea of Cortez. 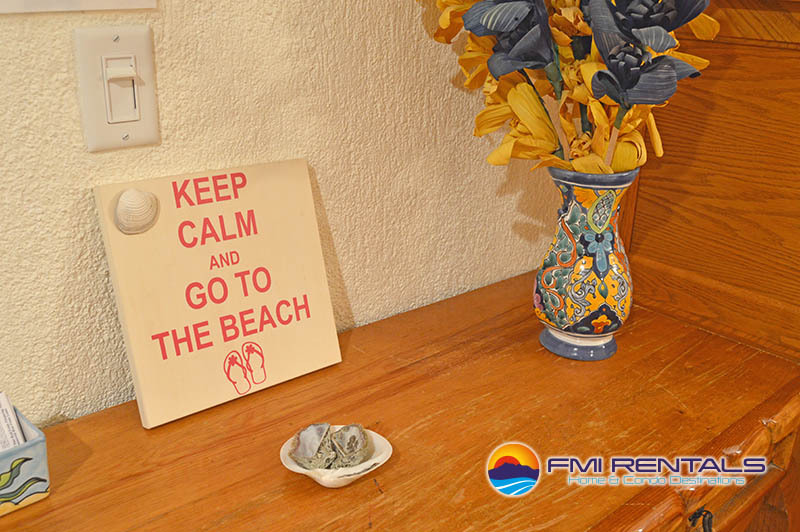 It may not change your life, but it will change how you feel about vacation homes overall! 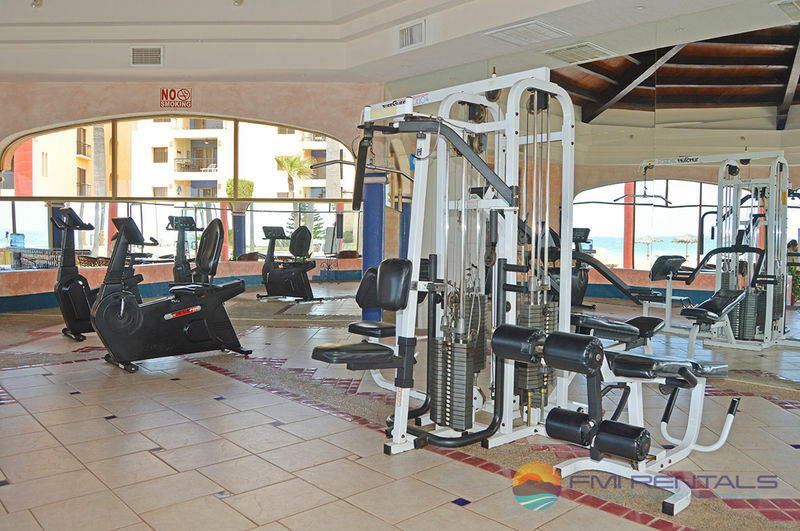 Never again will you be satisfied with dingy and dull; from this point on, happiness and elegance will be what you expect out of every home you rent! 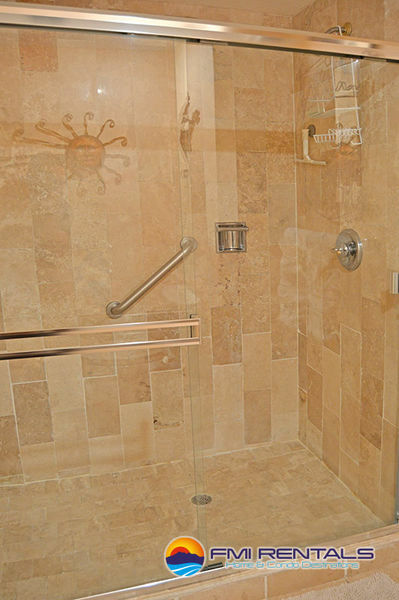 From that first step inside the door, till it’s time to turn in your key, this charmer will never let you down. The open floor plan creates a bright and airy space perfect for entertaining, or just relaxing with a book and a great glass of wine. 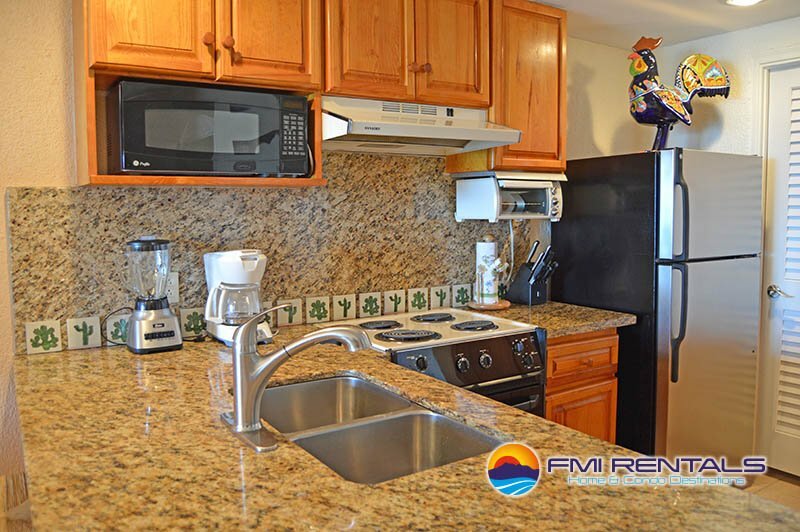 The fully equipped kitchen, with its granite countertops and whimsical porcelain rooster sitting atop the stainless steel refrigerator, is spacious and cheery; if the rooster doesn't make you smile, maybe the cactus tiles forming a backsplash will do the trick. 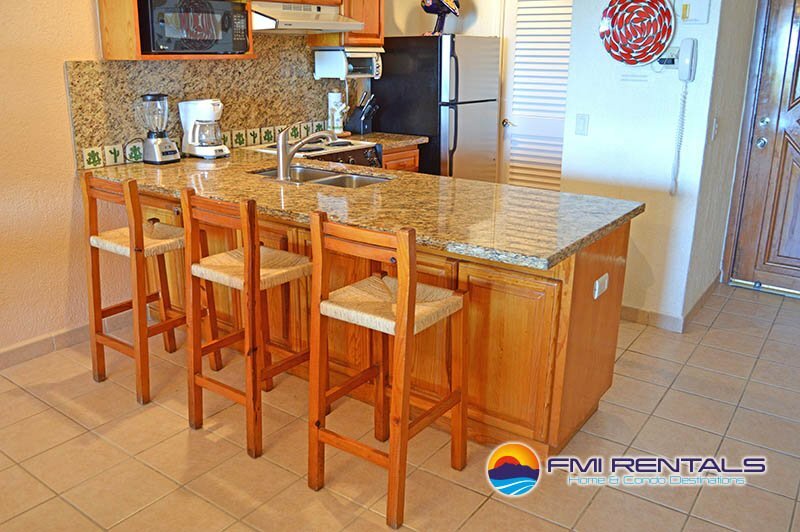 The large breakfast bar seats 3, the blender included with the kitchen whips up some great frosty margaritas, while the colorful round dining table directly behind the bar enables an entire family of 4 to gather round and enjoy a feast of grand proportions. 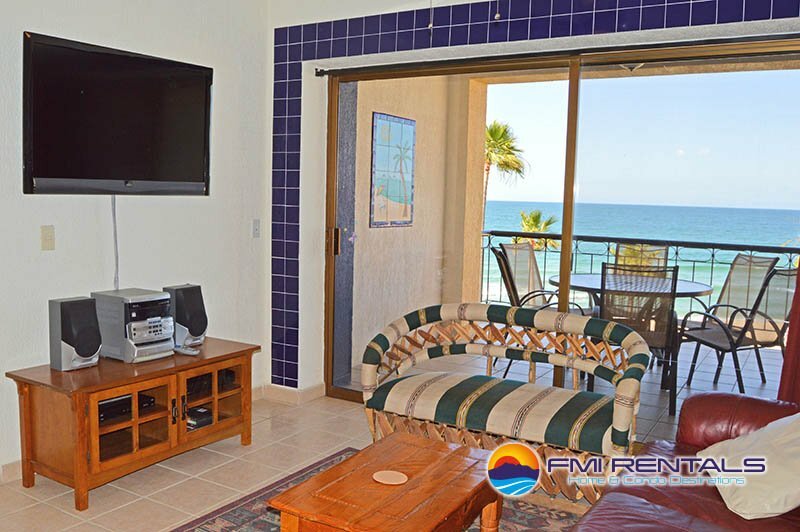 Continue on into the living area, where the star of the show is not the extra-large flat screen television hanging on the wall opposite some of the most comfortable couches you will have ever sat on; rather, the star here is the view of the Sea of Cortez through the oversized sliding glass doors. Throw open the doors and breathe deep. 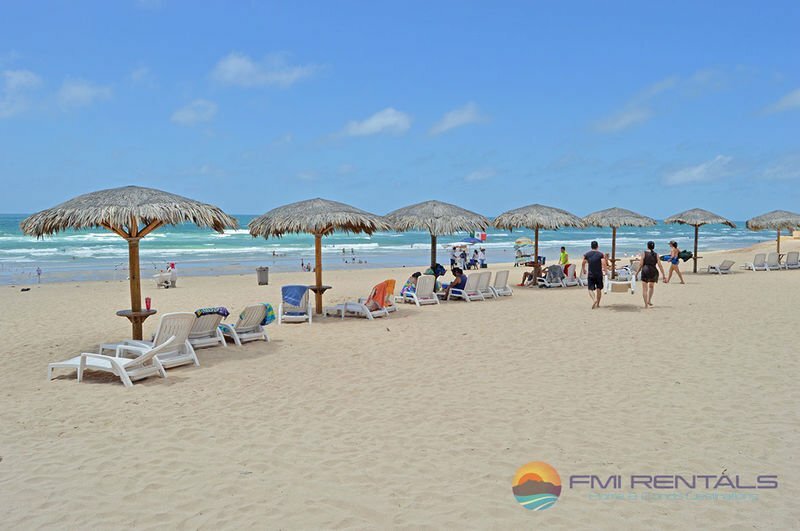 Can you smell the briny scent of the ocean? Can you taste the salt of the sea? 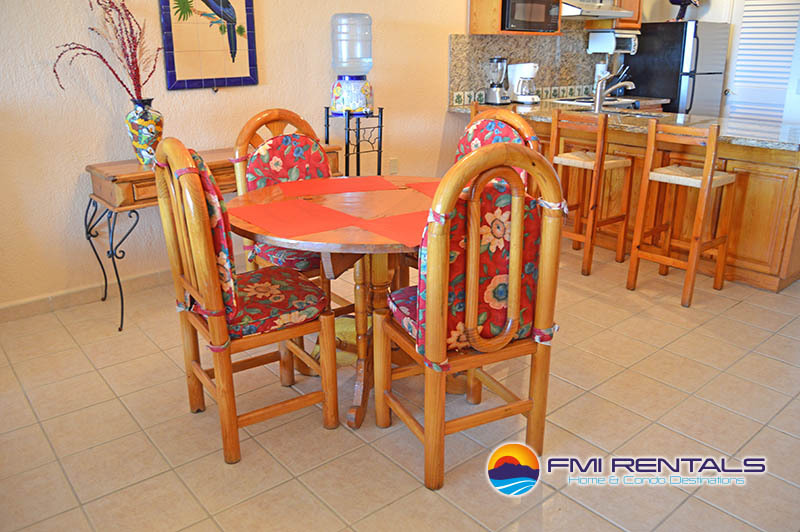 Why not enjoy a glass of wine sitting at the balcony table, watching the flaming sun sink slowly into the sea. 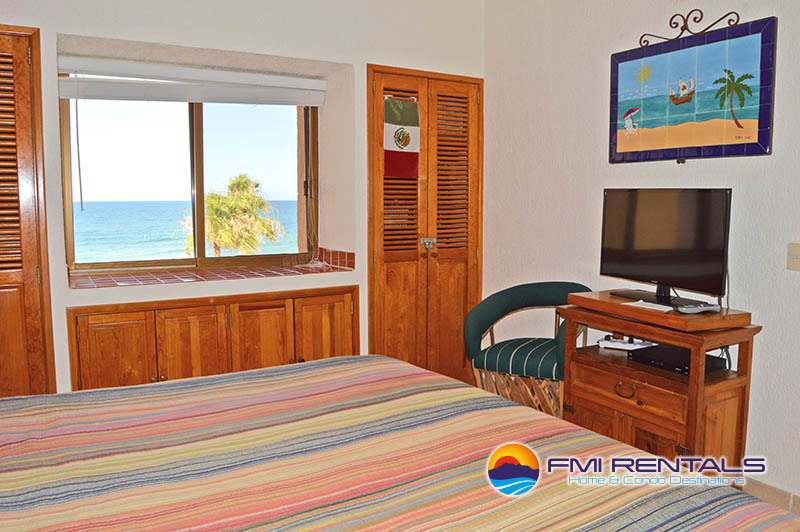 The bedrooms are large and colorful, with intricately carved twin headboards doubling as works of art in one room, while the simple mission style headboard in the master suite refuses to compete with what is visible from the bed - another amazing view of the Sea of Cortez. 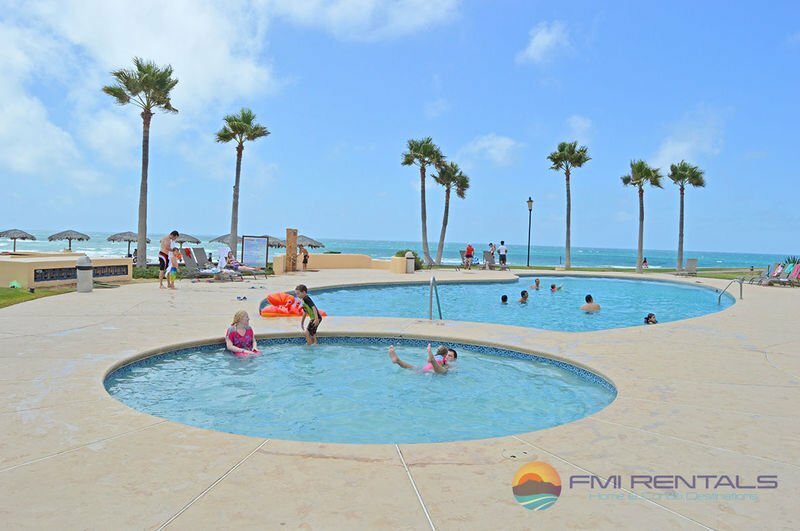 In many of the vacation homes Puerto Penasco has available, you will be lucky to have this view in just one area, but that's not so in an FMI Rentals home - we want to ensure you have multiple viewpoints! 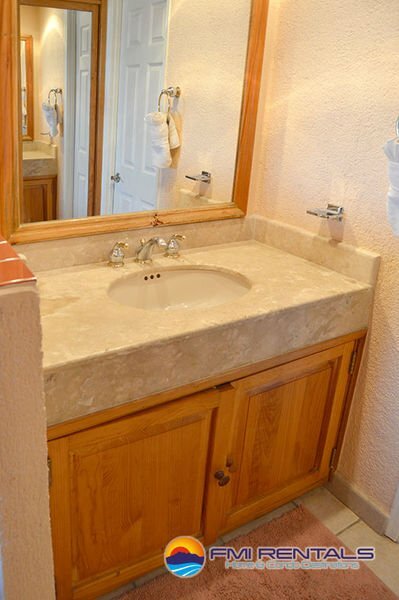 Travertine tiles in the bathrooms create a calm and peaceful spa-like environment that is a perfect backdrop to the crisp white towels hanging off elegant silver rings; attention to detail does not stop at this bathroom door! 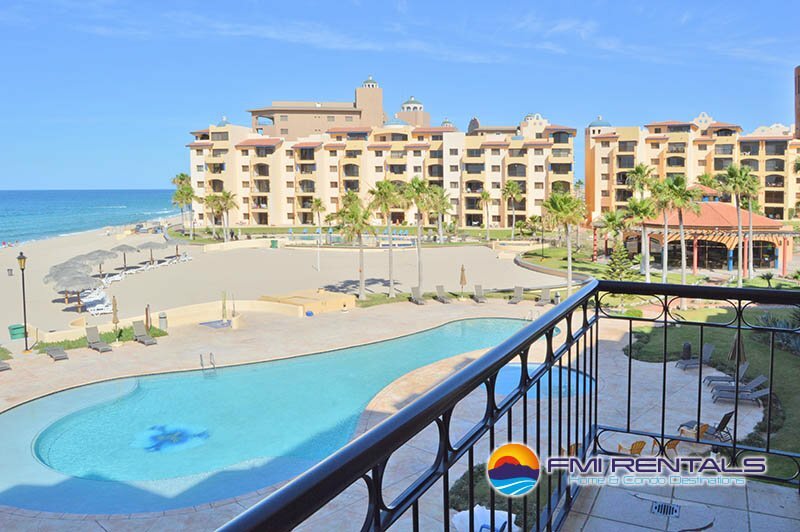 All our vacation rentals in Puerto Penasco will be close to the beach (the beach here is right outside your door!) 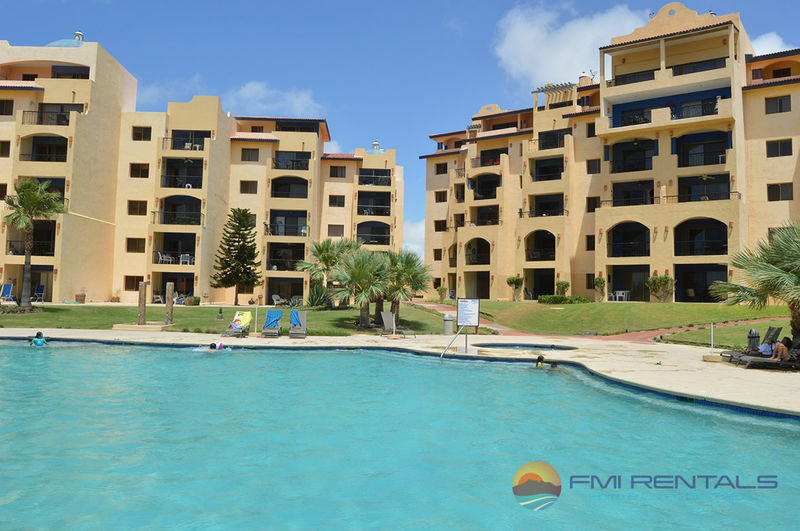 and also close to the heart of this quaint town, but when you stay in the Princesa E, you may not want to leave the boundaries of the property! 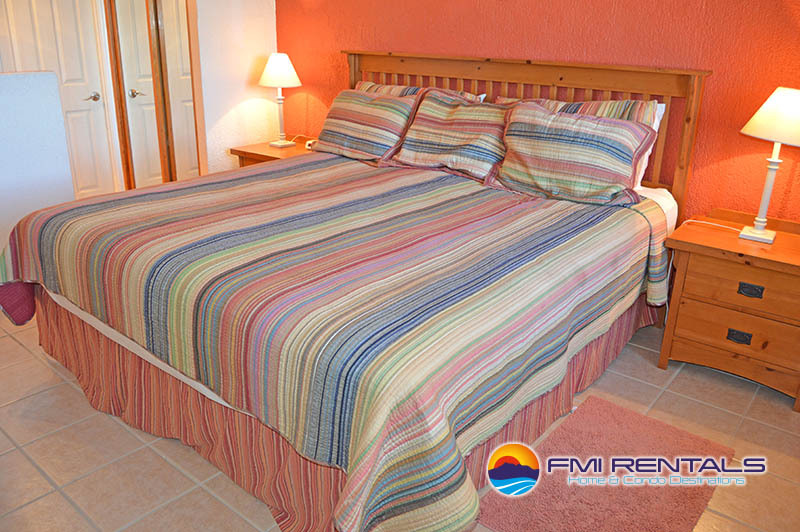 Stroll through beautifully landscaped gardens, swim in the refreshing community pool, and frolic with your loved ones in the hot tub; a day spent in this FMI Rentals home will just about tire you out! 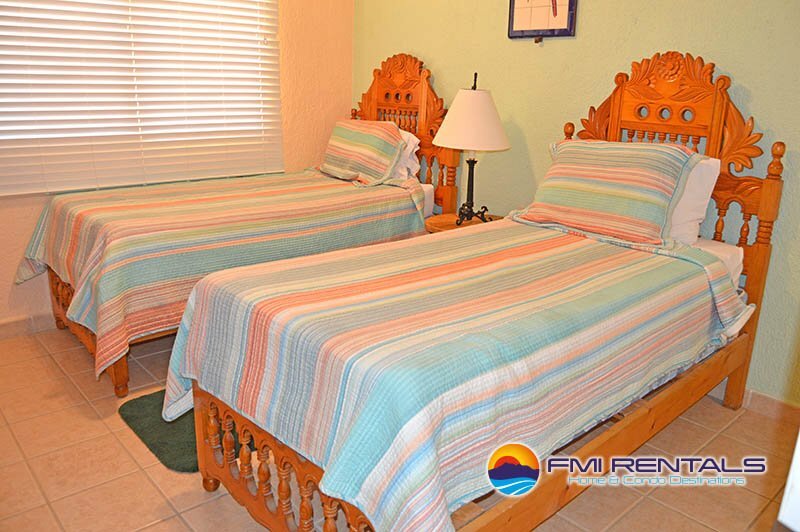 Fortunately you will be resting easy and dreaming happy thoughts in the premium beds of a charming ocean front condo - what more could you ask for?